We start the countdown with everyday news for you! 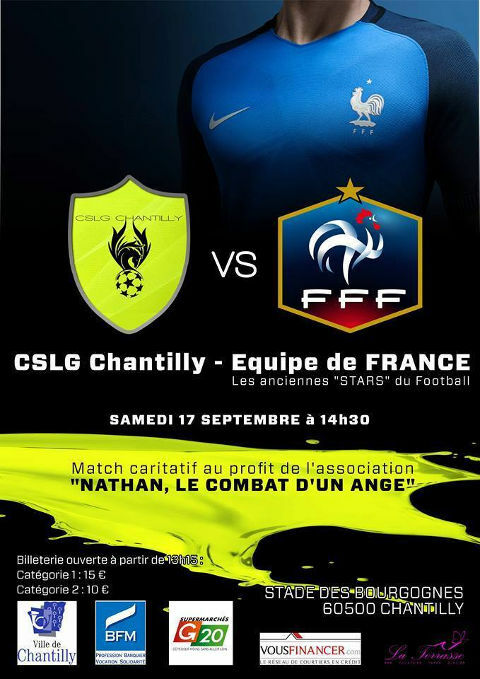 There will be a charity football game between the French National team (old stars) against the CLSG Chantilly (Gendarmerie football club) on 17 September (Saturday) at 2:30 pm, during our event. And one more Star will shine on the soccer stadium that day - Miss France 1998 Sophie THALMANN is invited to promote the game.